Silver Arrow Knits! : Monday: WIP Day! 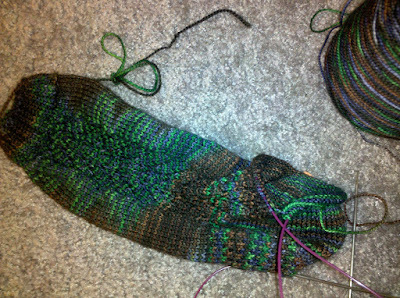 Great colors.The gusset process sounds interesting if confusing. Would love to see them when you are finished.Where Can I get the pattern?